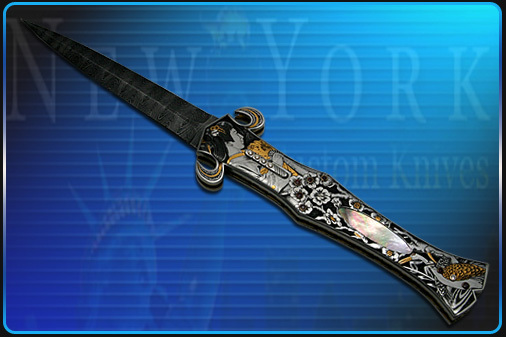 Highly engraved Automatic Dagger from George Dailey featues a Rados Damascus blade, black lip pearl inserts, combined with Diamonds, Rubies and Gold; all wonderfully added with a masterfuly engraved Geisha theme by Ray Cover. Also features some very nice file work. Must see to believe. Case is included.